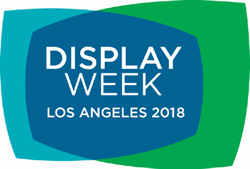 Japan Display Inc. (JDI) will be participating in The Society of Information Display (SID) DISPLAY WEEK 2018, International Symposium, Seminar, and Exhibition. The event will begin on Sunday, May 20, 2018, through Friday, May 25, 2018, with the exhibition starting at 10:30am on Tuesday, May 22, 2018 and lasting through 2:00pm on Thursday, May 24, 2018, at the Los Angeles Convention Center, in Los Angeles, California, USA. JDI will be delivering presentations at the symposium and exhibiting in booth # 917. 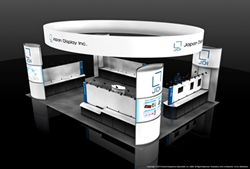 JDI's booth will feature a series of FULL ACTIVETM displays, enabled by low temperature poly-silicon (LTPS) technology, a core JDI technology. Other new- technology prototypes – automotive displays, which allow people to imagine the interior cockpit of cars in the future, high-pixel-density displays, for VR-dedicated head-mounted displays (HMDs), and newly-developed light field displays -- will be shown, too. Other displays for automotive, industrial, medical, PC, and smartphone applications will be exhibited as well. JDI will be delivering four presentations at the Symposium, which will provide researchers and engineers from around the world the opportunity to learn about the latest advancements in display technologies. Japan Display Inc. (JDI) is the leading global manufacturer of advanced small- and medium-sized LTPS LCD panels. By leveraging its advanced technologies and the world's largest LTPS production capacity, JDI provides high resolution, low power consumption and thin displays for smartphones, tablets, automotive electronics, digital cameras, medical equipment and other electronic devices. JDI, which commenced operations in April 2012, was formed through the consolidation of the display panel businesses of Sony, Hitachi and Toshiba. The company's common stock is traded on the Tokyo Stock Exchange with the securities code number 6740. For more information please visit: https://www.j-display.com/english/.